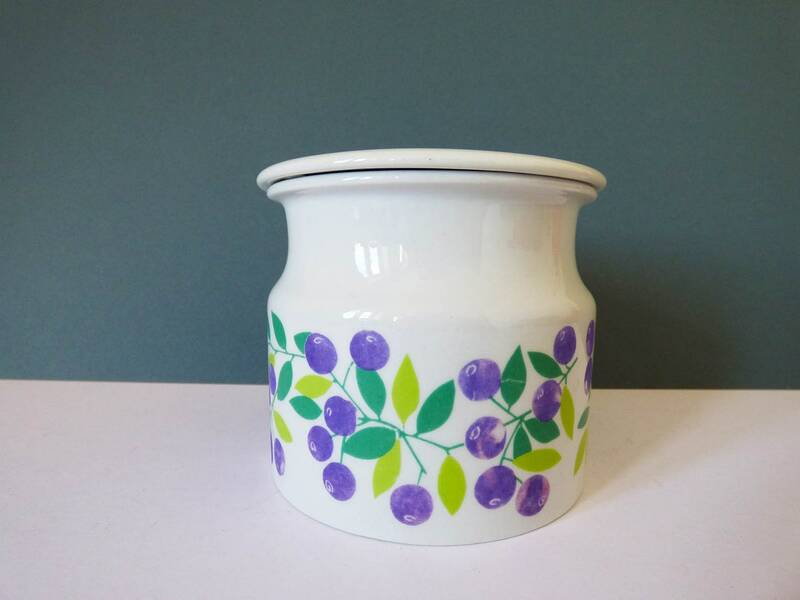 The Pomona series for Arabia Finland, ceramic jam pot. 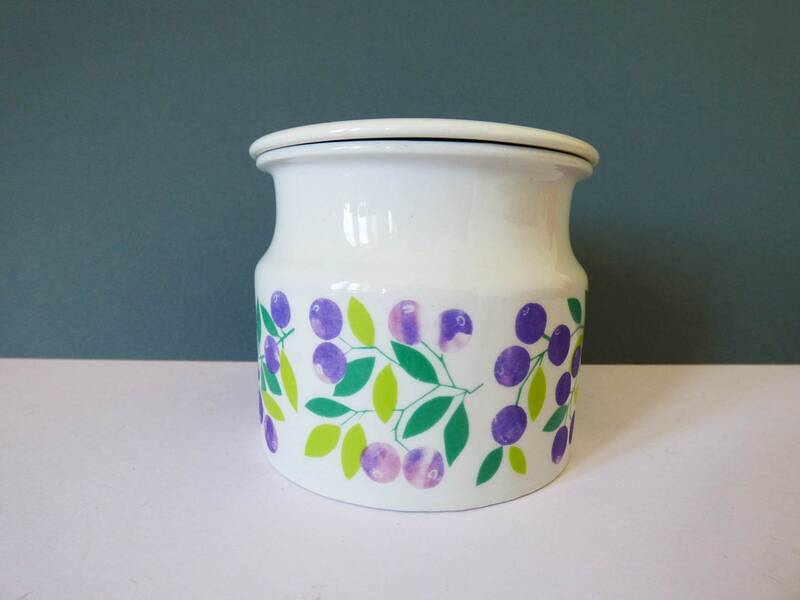 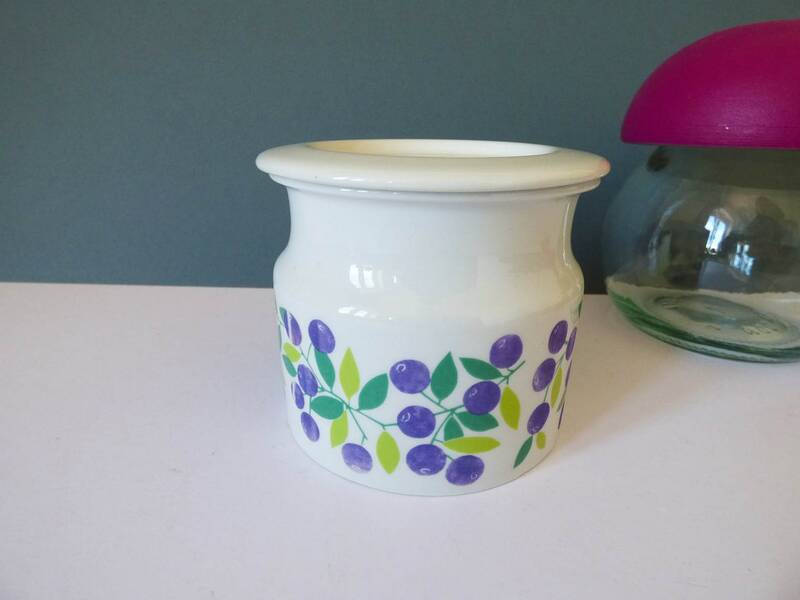 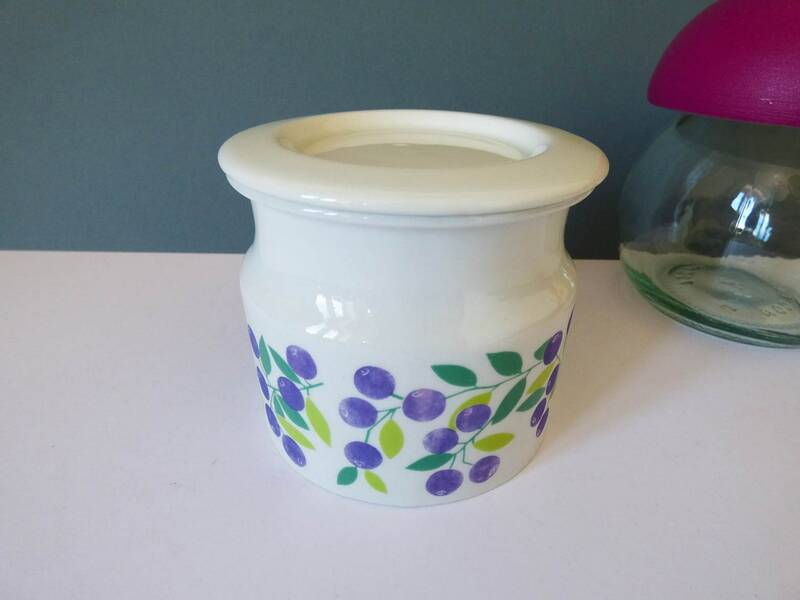 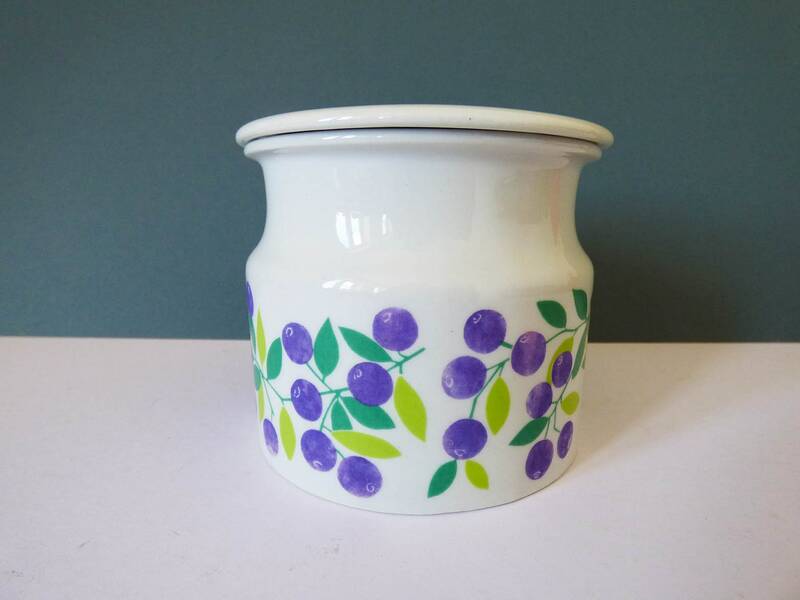 Decorated with a beautiful illustration of purple berries, from 1965 the patterns were designed by Raija Uosikkinen. 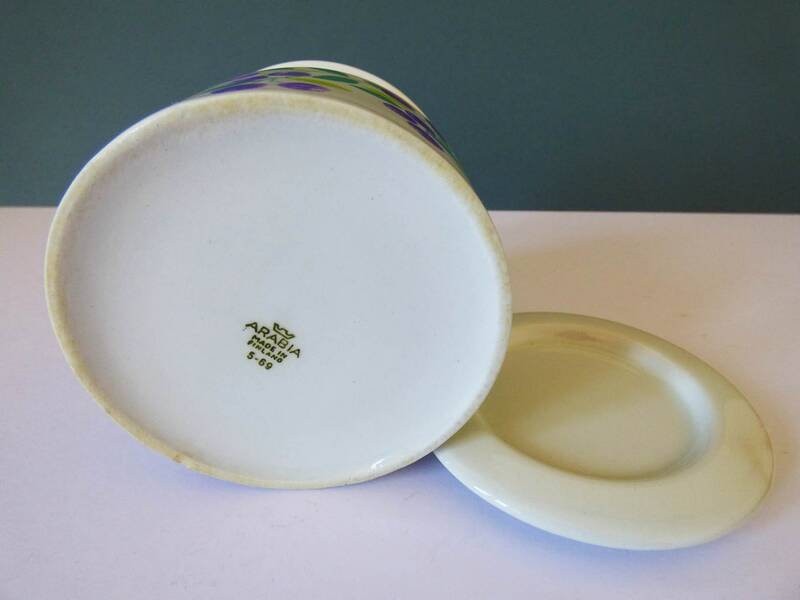 The form was designed by Ulla Procope. 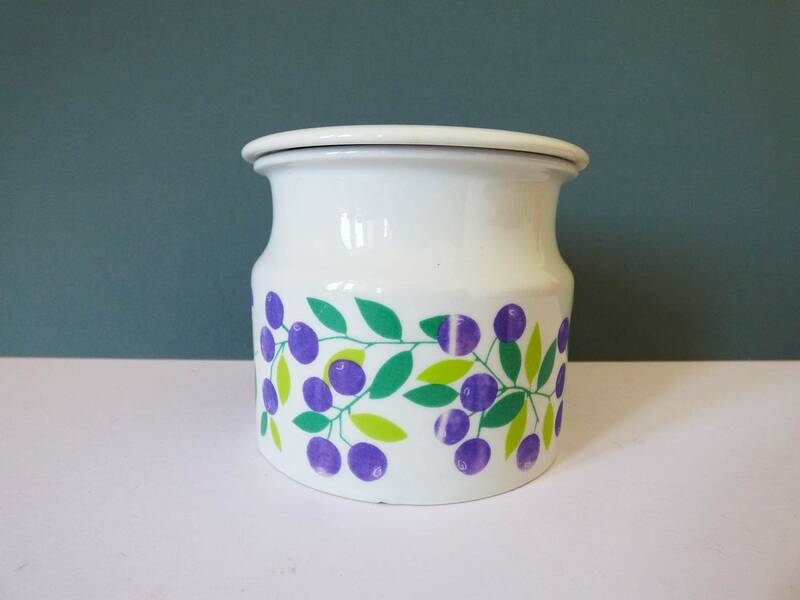 With these flaws accounted for I'm able to offer this lovely iconic jam pot at a much more affordable price. 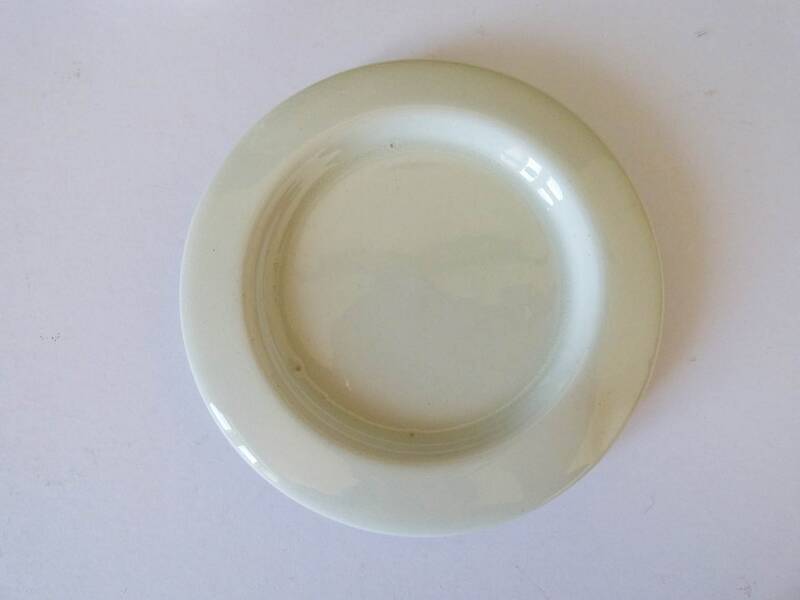 This little pot measures 9.5cm in diameter and 6cm tall. 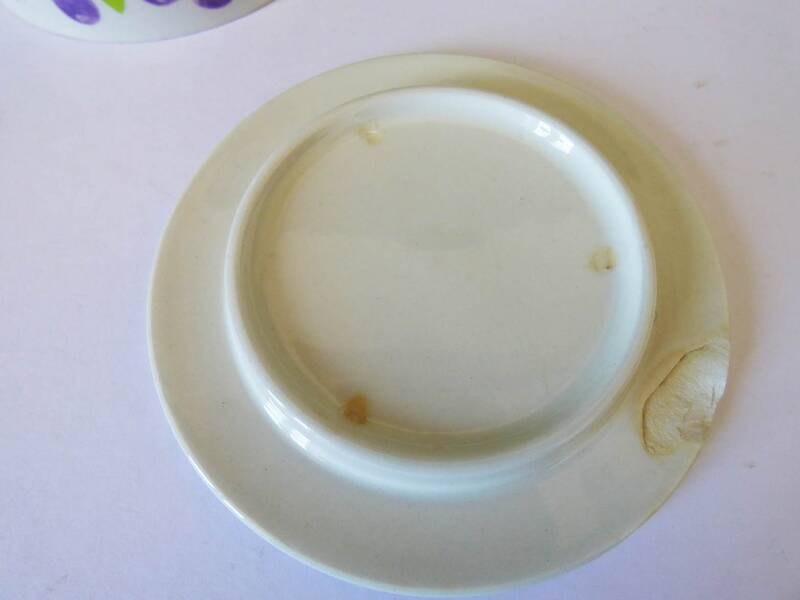 The condition is not perfect, staining and chips to the lid and fading to the base unit.